Our new best friend, Rebecca, at International Spirits and Wine invited us to sample several of her independent bottlings from her Mount Kison, New York store. 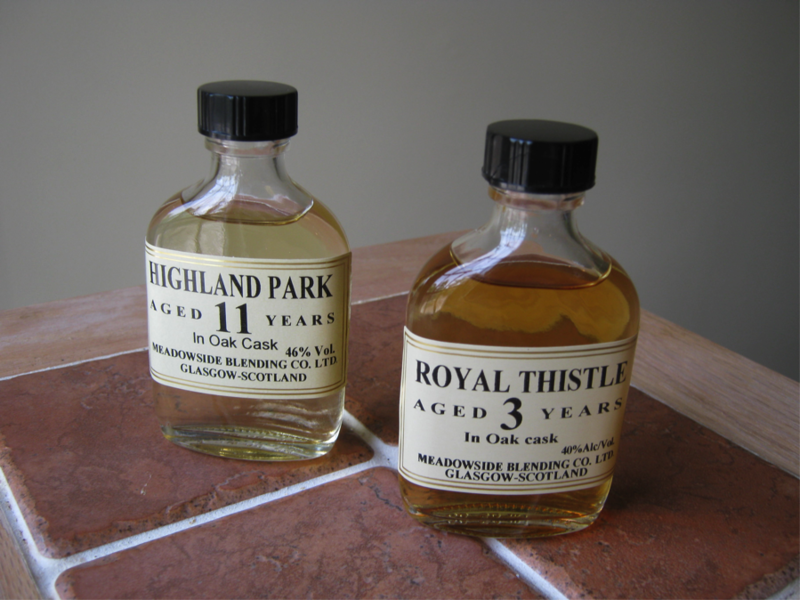 The first two expressions included a 3-year old Royal Thistle, a blended malt from Meadowside Blending Company located in Glasgow, Scotland. 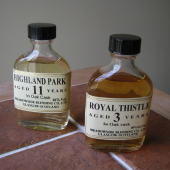 Bottled at 40% alc/vol, the dram was surprisingly complex given its faint nose and young age. We noted some early sweetness followed by a hint of peppermint. It was a bit oily on the tongue with a lingering finish with a hint of bitters at the end. We rated this very pleasant dram 3 ½ stars.